Dave Margoshes is a Regina poet and fiction writer. He’s published a dozen books, including three volumes of poetry, the most recent being Purity of Absence, in 2001, from Beach Holme Press. Earlier books were Walking at Brighton (Thistledown) andNorthwest Passage (Oberon). A new book of poetry,The Horse Knows the Way, is appearing in fall 2009 from Buschek Books. His last book, Bix’s Trumpet and Other Stories, won two prizes at the 2007 Saskatchewan Book Awards, including Book of the Year. 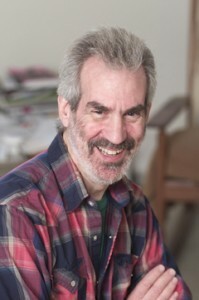 He’s won a number of other writing awards, including the Stephen Leacock Prize for Poetry and second prize in the League of Canadian Poets’ National Poetry Contest. He’s a past vice president of the League of Canadian Poets. Not really. Well… I was 16, already writing stories, though mostly in my head. I wrote a poem in hopes of impressing a girl, who was writing poems herself. It didn’t work, but the poetry stuck. Everything and anything and can spark a poem. It’s about keeping your eyes open and, as the American poet Louis Simpson says, really listening. Reading poetry is a sure way to get my own writing juices flowing. When the idea comes, I just open myself to it an go with it. I worry about what it’s all about, form structure, craft, etc. later. That first draft is pure mysterious magic. The craft and art and work of poetry come later, in the revisions. Nose to the grindstone. Work. Keep working it until the poem takes shape. Keep working it until it feels right. Not really. What I do, and what I recommend, is to read a lot of poetry. And I don’t mean Shakespeare etc.—read what’s being written today. Definitely. I had no idea what a poet—or any kind of writer—was like. I just knew I wanted to be one. Published in Strategic Nationalisms . Spec. issue of Canadian Literature 200 (Spring 2009): 105-106. Published in South Asian Diaspora . Spec. issue of Canadian Literature 190 (Autumn 2006): 79-79. Published in Canadian Literature 185 (Summer 2005): 58-58. Published in Canadian Literature 165 (Summer 2000): 42-42. Published in Gay and Lesbian Writing in Canadian Literature . Spec. issue of Canadian Literature 159 (Winter 1998): 73-73. Published in Letters & Other Connections . Spec. issue of Canadian Literature 134 (Autumn 1992): 97-98. Published in Slavic and East-European Connections . Spec. issue of Canadian Literature 120 (Spring 1989): 98-99. Published in Slavic and East-European Connections . Spec. issue of Canadian Literature 120 (Spring 1989): 97-98. Published in Literature & the Visual Arts. Spec. issue of Canadian Literature 113-114 (Summer/Autumn 1987): 91-92. Published in Mothers & Daughters. Spec. issue of Canadian Literature 109 (Summer 1986): 99-100. Published in Mothers & Daughters. Spec. issue of Canadian Literature 109 (Summer 1986): 15-16. Published in Science & Canadian Literature. Spec. issue of Canadian Literature 221 (Summer 2014): 108. Published in Indigenous Focus. Spec. issue of Canadian Literature 215 (Winter 2012): 85.